An online version of the magazine, Hits Daily Double, premiered in May 2000. Both on and offline, the magazine's content includes proprietary weekly sales and airplay data, a section on breaking artists ("Vibe-Raters"), interviews with music industry leaders, a weekly cartoon, music and music industry news, and charts provided by Shazam, Vevo, and Mediabase. 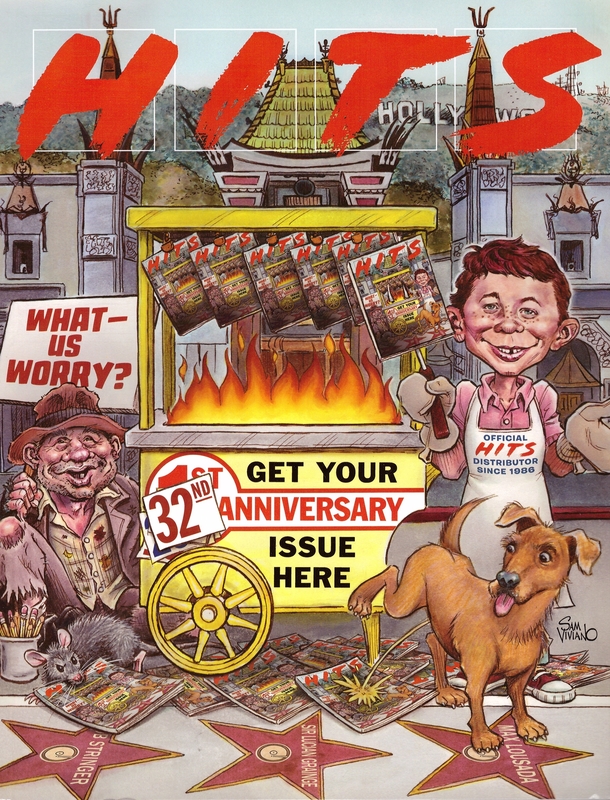 The "Rumor Mill" column, described as "music industry news and innuendo," has been widely read within the music business since the magazine's launch. 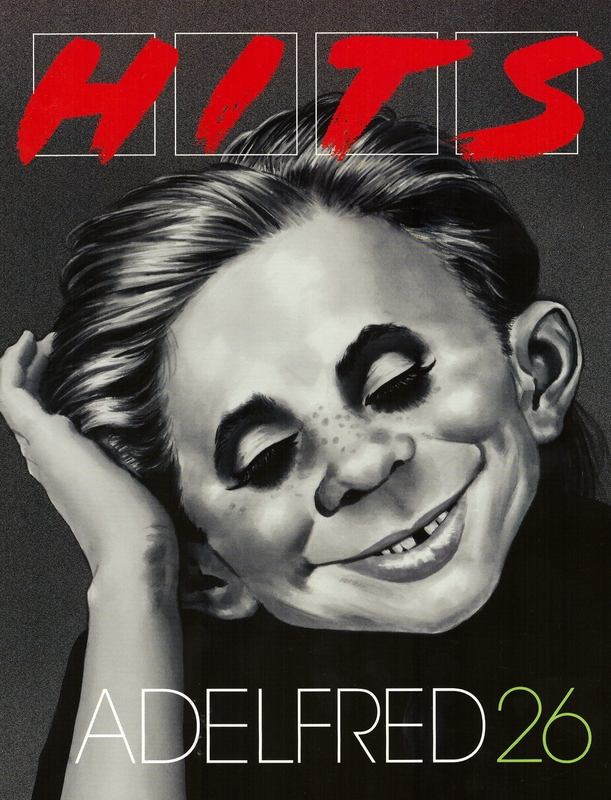 It seems the editors are big fans of the MAD magazine and Alfred E. Neuman. 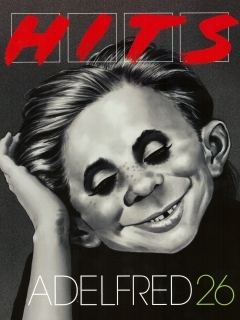 Some of the issues features MAD like cover artworks. E.g. 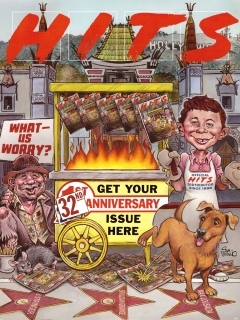 the 32nd anniversary issue features a really great artwork by Sam Viviano.